Want to know how to backup iPhone to computer over WiFi? Follow this tutorial to make it, regularly and automatically. AnyTrans provides you with the best way to save your iPhone iPad content just in the right place, in case of data disappearing. 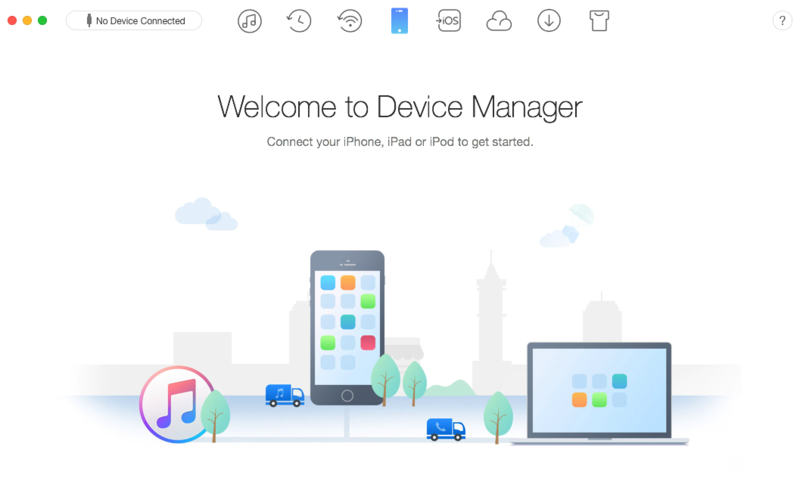 With it, you can backup your whole iDevice within one click, and also make a detailed backup plan. iPhone has taken a big part of our lives, and it also carries more and more vital data about us, contacts, messages, photos, etc. Therefore iPhone data protection will seem more and more necessary, because data losing happens, on every day, to every user, due to various factors, mistakenly deletion, iOS upgrading, jailbreak, water damaging, etc. But what is the best way to protect iPhone data? Back it up! Backup iPhone regularly would be better. Because backup it now would just cover the existed data by far. As long as it is used, it will generate more new data. But how to backup iPhone regularly? iTunes would require you do it manually, every time. It would be bothering and forgettable. 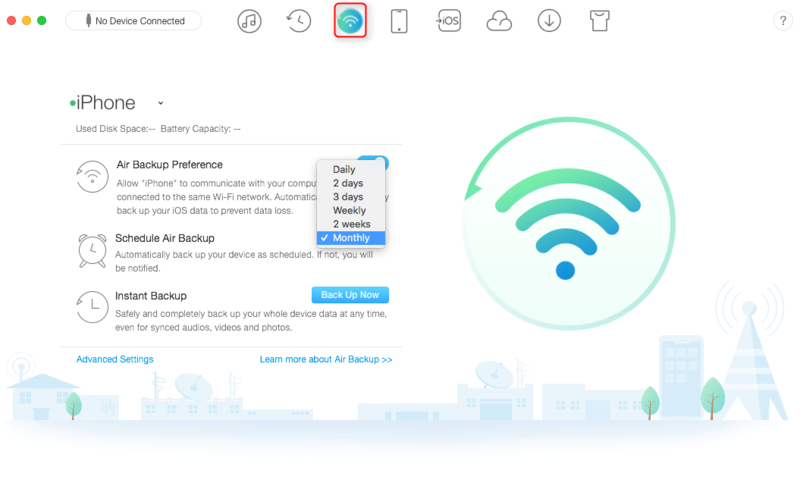 iCloud does provide us the automatic way to backup iPhone regularly, as long as it is charging and WiFi-connected. But every time iCloud backs up, it would create a new backup folder. It would be very wasteful for your iCloud storage. Besides, with more and more backup files, it would be very hard for you to know which file contains what you want when restoring, because iCloud does not enable users to view backup files. So to get rid of these shortcomings of iTunes and iCloud ways, we recommend you another powerful application – AnyTrans, to help you backup iPhone to computer over WiFi regularly and automatically. AnyTrans, basically working as best iOS content manager, is also capable of iDevice backing up to computer over WiFi. AnyTrans enables users to make a backup schedule, from one day to one month. So as time is up, it will automatically backup iPhone over WiFi. Regularly backing up mission completes. Every time AnyTrans makes a backup, it will not create a new folder, but backup the contents which have not been contained in previous files yet. There is much slower standard for device power percentage. With 10% – 50% power, iDevice can be backed up over WiFi. Under the backup folder, all files can be viewed, which is totally different from iTunes & iCloud. Besides backing up iPhone over WiFi, AnyTrans also supports manually backup iDevice wholly and selectively. Download it, and check the all feature right now. Step 1. Run AnyTrans on your PC/Mac > Make sure of iPhone and computer same WiFi connection. Step 2. 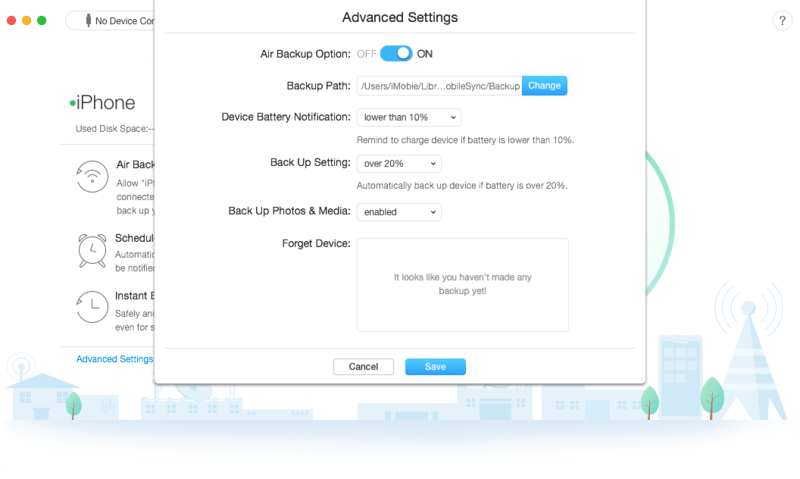 Choose Air Backup Manager tab > At the first time, the Air Backup Preference is launched by default. If not, turn it on > At the page, you can schedule Air Backup from one day to one month > Back Up Now button enables you to back up right away. Step 3. You can also click Advance Settings for more preferences: Backup Path choosing, device battery setting, photos & media backing up or not. As you can see, with AnyTrans, there are only three steps needed, and you can backup iPhone to computer over WiFi easily. Why not give it a try right now? If you have any question about it, you can contact us via email, or leave your messages in the comments below, and we will answer you as soon as possible.